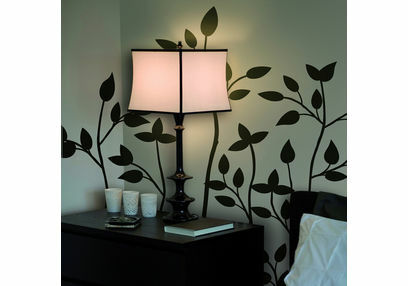 • Wall Stickers can change the look of a room with no hassle and in little time. 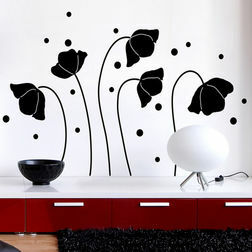 • The unique proposition of Home Decor Line (Wall Stickers) is that these are extremely easy to use. 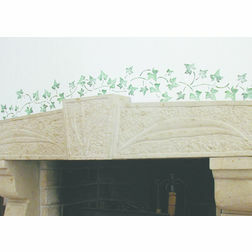 We proudly present you our Home Decor Line range from Italy. 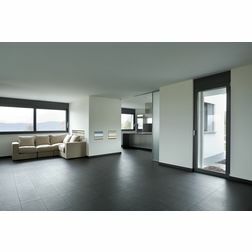 Home Decor Line is a modern home decoration concept. All our products are made of nontoxic components & inks and comply with international safety regulations. The whole Home Decor Line assortment is undoubtedly one of the most varied & riches collection available in the adult decoration market today. 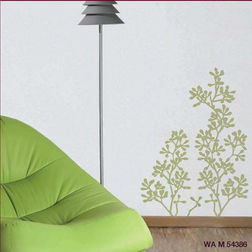 Product code: 57154 Features • 1 XL Size Sheet of 70 x 100 (cms) • Easy to apply Wall Stickers (vinyl wall stickers)• Removable, Reusable and Repositionable (can be repositioned upto 8-10 times)• Life atleast 5 years (usually more) • Water proof (can be cleaned with wet cloth) • Wall Stickers can change the look of a room with no hassle and in little time. 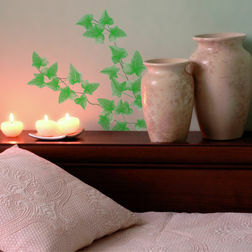 • The unique proposition of Home Decor Line (Wall Stickers) is that these are extremely easy to use. 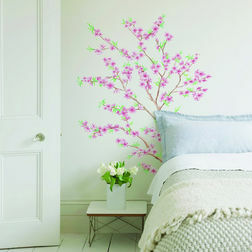 It can be applied on almost any flat surface. It brings about an entirely new transformation where ever applied in a matter of minutes• Approximate wall covered:3.5 feet (height) x 5.5 feet (width)About Home Decor LineWe proudly present you our Home Decor Line range from Italy.Home Decor Line is a modern home decoration concept. All our products are made of nontoxic components & inks and comply with international safety regulations. The whole Home Decor Line assortment is undoubtedly one of the most varied & riches collection available in the adult decoration market today.